Food, mortgages, railways. What do these industries have in common? Well, they all have been targeted by activist investor William Ackman, founder and CEO of Pershing Square Capital Management. In the last years, the fund endured billions of losses, caused most notably by its disastrous investment in Valeant Pharmaceuticals and its inconclusive (and thus profitless) battle with wellness company Herbalife. Now the situation is different. Pershing Square is reaping the profits from its US large capitalisation investments, including Chipotle, Lowe’s, and Automatic Data Processing. His latest bet is Starbucks, the multinational premium coffe chain. On October 9, Ackman disclosed he had acquired a 1.1 per cent stake in the firm, worth around $900m. Stocks surged 2.6 per cent after the announcement, giving the Seattle-based company a market capitalisation of $78.3bn. Despite a cumulative return of 0% for its shareholders in the past three years, Starbucks has plenty of room to grow, according to Ackman. The invesor is supportive of the newly appointed CEO Kevin Johnson and declared that “Starbucks’ recent challenges are fixable with appropriate management execution”. 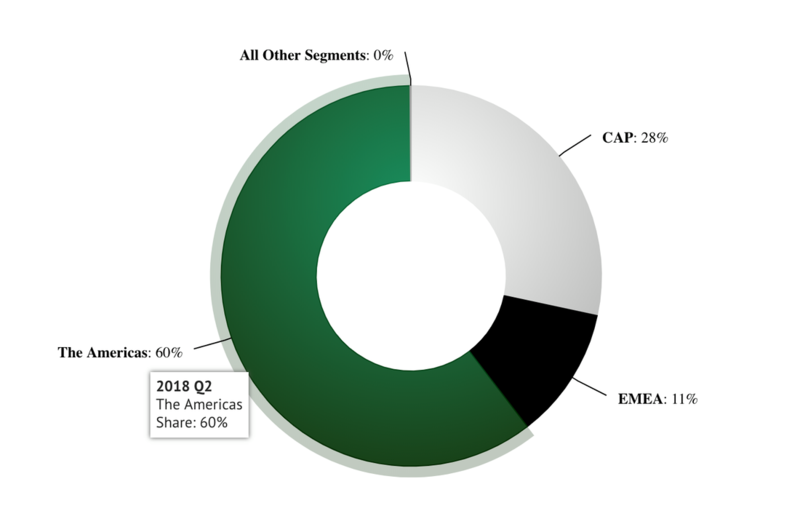 In particular, pressure from lower-cost rivals on one side and competition from boutique coffe shops on the other are squeezing Starbucks’s profitablity and growth in its domestic market. Other issues the company has to face include sales cannibalisation, the consumer shift away from the iced and blended Frappuccinos and problems with the rollout of a mobile ordering service. Ackman is particularly positive about the company’s plans to expand in China, where he expectes earnings to rise at nearly twice the group’s overall rate. Furthermore, the fund identified room for expansion in the American Midwest and South, where the company is “relatively underpenetrated”. Still, Starbucks already has more than 14,000 stores in US and it plans to close about 150 across the country. ​Ackman has reasons to believe in Starbucks, especially given that coffee is experiencing unprecedented popularity. Consumer preferences are shifting towards premium, healthy beverages and multinationals seem to have ackwnoledged it. This September Coca-Cola acquired Costa Coffee, the Whitbread Plc-owned UK-based multinational coffeehouse and brewey (right after Pepsi Co. took over the Israeli sparking water provider SodaStream). Are the Starbuck’s financials are on Peshing Square’s side? 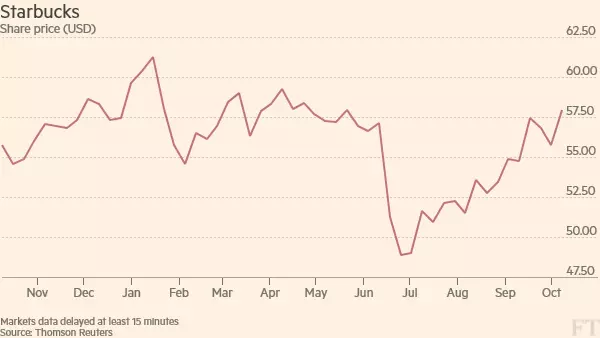 The coffee chain’s price-to-earnings multiple of just over 20 times is well below its historical average of 26. Ackman says Starbucks is undervalued and anticipates a sharp rebound in the shares if earnings improve. In this sense, this investment is a return to Ackman’s value investing roots. Pershing Square is known from its activism and this detour from its aggressive strategies was received with incredulity and criticism. The issue is that investors expect more. Can such a simple, mundane trade justify the fund’s fees? This question relates to the broader discussion on hedge funds’ cost structure in the light of their poor performance lately. Higher complexity does not imply higher returns. And returns are what matters ultimately. Charging high fees while making traditional, long stock bets is not appelaing, but this strategy seem to be working for Ackman. At least for now. So far this year Pershing Square has beaten the broader market by a few percentage points, while many hedge funds have not. In the meantime, Starbucks celebrated the opening of its first store in Italy on September 6, with plans to bring additional cafes to Milan beginning late 2018. It is too early to make a jugement on the Starbuck’s trade and it is too difficult to predict Ackman’s next moves. What is certain is that his fund trades at a one-quarter discount to its net asset value. There is still a long way to go.